"DD equals Deep Diver" Listen up all you Pointer fans. Lucky Craft now has a new Pointer minnow to add to their repertoire. The new Pointer DD is a deeper diving version of the popular Pointer SP. This new Pointer DD is a great bait for fishing a few feet deeper than the original SP. This bait will dive about 6 to 7 feet deep and suspend when paused. It has a wider wobble than the Pointer SP and still has the same body style. 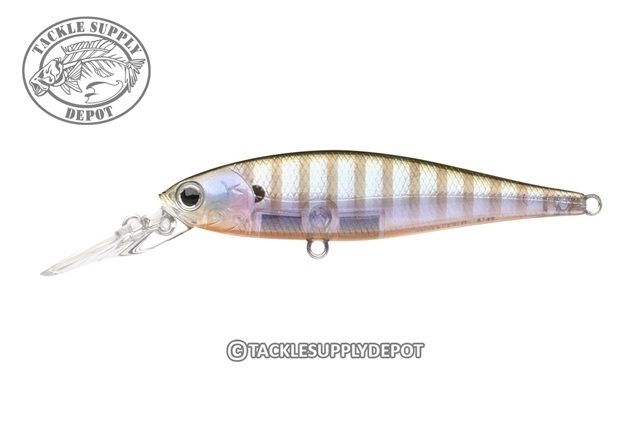 When the fish are holding out a little deeper this bait will get in their face and aggravate them to strike. The Lucky Craft Pointer DD series offers a wide range of sizes and vivid color patterns ideal for matching the hatch on any body of water across the world.